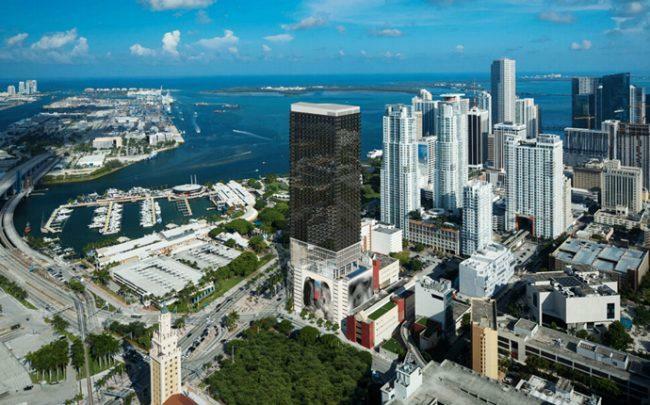 Property Markets Group is seeking approval for a mixed-use tower at 400 Biscayne Boulevard in downtown Miami. The New York-based developer filed plans for a 49-story, 882,000-square-foot building with 646 residential units, nearly 48,000 square feet of office space, about 3,000 square feet of retail, car and bicycle parking. PMG Greybrook 400 Biscayne Trustee LLC is going before Miami’s Urban Development Review Board on Wednesday. In January 2018, PMG paid $55 million for the 1.15-acre site and financed the deal with a $35 million loan from Greybrook Realty Partners, its partner on the development. First United Methodist Church sold the property and is getting a new facility as part of the deal. Sieger Suarez Architects is designing the high-rise, which will have a mix of studio, one-, two- and three-bedroom apartments on floors 14 to 47. 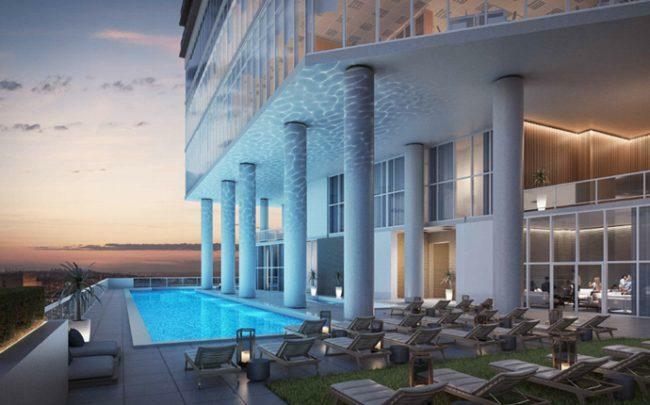 A pool deck would be built on the ninth floor, with a church sanctuary with a separate entrance beginning on the eighth floor, according to the plans. Ryan Shear of PMG previously said he was working on securing about $150 million in construction financing for the project. It will be part of X Social Communities apartment portfolio in cities like Chicago and Denver. 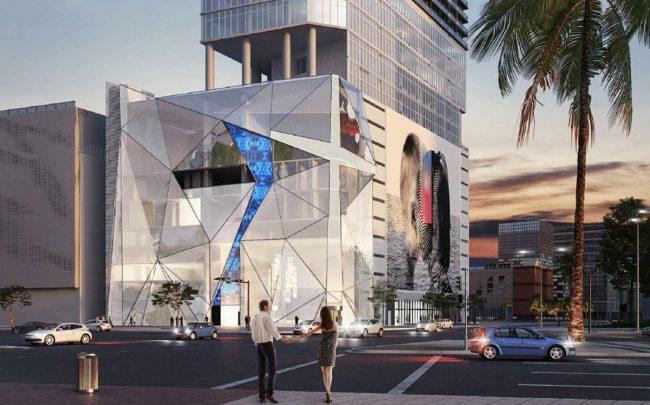 In South Florida, PMG recently completed X Miami at 230 Northeast Fourth Street and is building X Las Olas in Fort Lauderdale. Amenities at X Social projects typically include co-working spaces, fitness studios, communal kitchens, package lockers and bike storage.